Multiple organizations have banned fighting game competitor Andre “OmGiTzAndre” Howard from competing at their events after a fellow community member said he raped and assaulted her. The woman described the abuse last night after her boyfriend spoke about it in a podcast on Tuesday. Howard is a regular competitor on the fighting game scene, with multiple finals appearances in Ultimate Marvel vs. Capcom 3 and Marvel vs. Capcom: Infinite. (He’s also known for pleading guilty to credit card fraud and identity theft in 2016.) As Howard came up on Tuesday night’s episode of The On Blast Show, a weekly Twitch podcast, fellow player Joey “Joey D” D’Alessandro dropped a bombshell. After the podcast, many community members called on tournament organizers to ban him from their events. Some, like Kumite in Tennessee head Ian Davis, did so, but most remained silent. 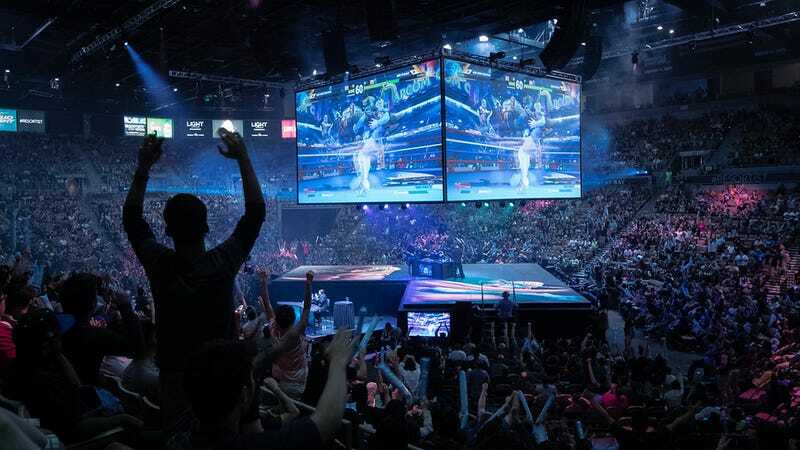 Community reactions to serious charges or accusations against fighting game competitors have been inconsistent. Noel Brown was involved in numerous altercations before getting banned from events after inappropriately touching a woman on camera, and at least one woman in the community has spoken out about the lack of support she’s received dealing with a stalker. The woman who says Howard raped her shared more details late Wednesday night in a now-deleted Facebook post, claiming that Howard forced himself on her one night in December 2015, just a few days before the tournament, despite her cries and pleas to stop. After the assault at Northeast Championship, she says Howard threatened to cancel her flight home and leave her stranded, effectively blocking her from involving the proper authorities. Since the Facebook post, some of the biggest fighting game organizations in the world have banned Howard from their tournaments, including Combo Breaker, Community Effort Orlando, Final Round, and Big E Gaming. Compete has reached to the woman and Andre for comment. This post will be updated if they respond.